Gristmill, Rooster, Tree of Hearts, Beach, Alps, Black Rose, Moose, Deer, Bear and some beautiful hand painted florals. Have a question or want to send a photo to our expert? The NEW Honey Amber Grand Vertique Aladdin Table lamp is now available. 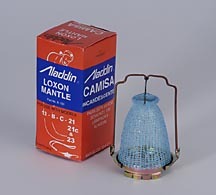 Aladdin Lamps make great gifts. Use genuine Aladdin Oil in your lamps! so your lamp is always ready when you need it. One on one, U.S.A. based, HUMAN to HUMAN communication. We will not rush you and we will give each customer the time they need. We do apologize for that! Please do leave a message and we will return your call ASAP! You also are welcome to send us an E-mail and one of our friendly staff will reply shortly! Keeping it local, Keep it in the USA! Be Ready for what ever weather comes your way with a NON-Electric Beautiful Aladdin Oil / Kerosene Lamp that provides bright white light that works even when your electric does not! giving each customer the time they need for their question to be answered. This may cause a delay in getting through to us. Please leave a message and we will return your call ASAP. Sending an e-mail with your questions also is a wonderful way to contact us. BE READY FOR SEVERE WEATHER! Weems & Plath Stormglass & Plaque SET (SKU: 200SET)The Weems Stormglass Set is a mysterious weather predictor that is sure to intrigue. Wonderful Gift for the person who has everything. NEVER Leave Oil Lamps unattended when lit. Our company is PLEASED to report we now are using Wind and Solar power to supply at least 25% of all our power needs here at Aladdin-US.com. 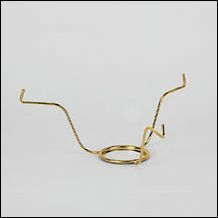 You will also find that we use recycled shipping products when ever we are able. "Nearly a century ago, a very small boy on a Nebraska farm read and re-read the Arabian Nights story of Aladdin in a room of darkness but for the flickering yellow light of an open flame coal oil lamp. Several years later that boy, grown to manhood, found a lamp that erased the darkness with a soft white light and it was only natural that he named the lamp Aladdin. An appropriate name, indeed, for this revolutionary boon to rural America seemed nothing short of magical in the intensity of its light. "For those who lit the lamp, trimmed its wick and cleaned its chimney, or just enjoyed its friendly glow, the Aladdin lamp recalls many memories of golden childhood. It made learning possible for many boys and girls; made it possible for them to acquire knowledge that helped them realize their dreams and aspirations. "Later, Aladdin brought this white light to every kind of habitat in every corner of the globe. For many, it has been the only light of their entire life. Even when electricity comes, there are a loyal few who profess to use the electric light only to find the match to light their Aladdin." and studying oil lamps. He writes and publishes books about Aladdin lamps. The Trademark Aladdin and Lox-On are used under license from Aladdin Industries LLC. Victor S. Johnson, 1882-1943, photographed at work in 1924. Johnson named the Aladdin lamp and founded the company that made it world-famous. Agents were recruited to sell lamps throughout the country and farm land. 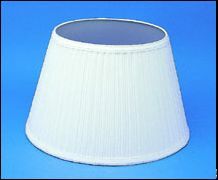 They demonstrated the Aladdin and often left the lamp in the home for an overnight trial. The agent arranged for local merchants to stock supplies. In 1928 the company turned solely to franchise dealers some 15,000 in the early 1930s. The company advertised extensively in newspapers and through radio. Smilin Ed McConnell was so popular that he became the "Aladdin lamp man." until 1963, after which brass lamps were imported from England. 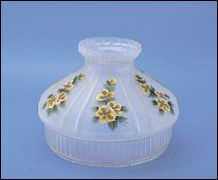 Only the glass lamps continued to be made in the USA. Since 1977 the Aladdin burners have been manufactured in Hong Kong while the fonts are made in the USA and England. Chimneys, wicks and mantles are made in other countries today. company Aladdin Mantle Lamp Company, located in Clarksville, Tennessee. THANK YOU FOR VISITING. PLEASE COME AGAIN SOON!